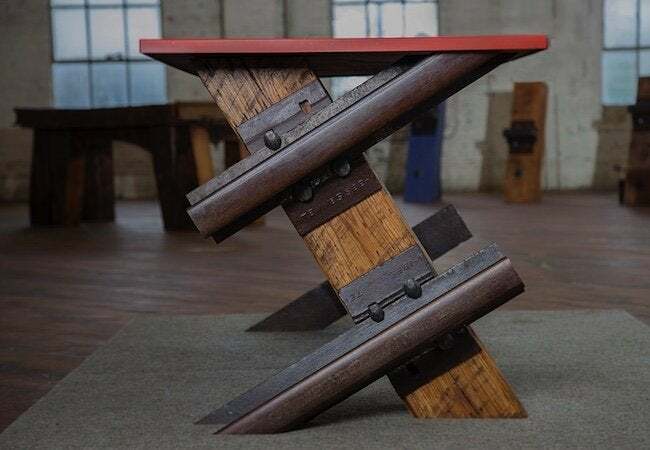 Knotty timber and centuries-old iron rails become hardy, arty furniture in the calloused hands of Rail Yard Studios. As the owner of a railroad contracting and maintenance firm, John Hendrick oversaw a crew responsible for, among other things, disposing of old or unusable rails and ties. After a while, Hendrick grew tired of seeing so much beautiful, often historic material either junked or sold off for scrap. That’s when he developed an idea. 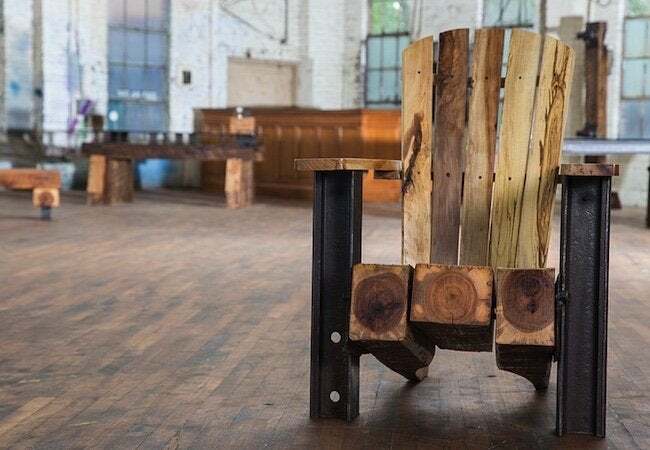 His newest company, Rail Yard Studios, works to transform railroad cast-offs into pieces of fine furniture. Since Hendrick had trained as an industrial designer, it wasn’t much of a stretch for him to envision a second life for these heavy-duty components, particularly with his carpenter father involved as a business partner. Today, Rail Yard Studios fashions chunky yet chic tables, seating, desks, bed frames and more from steel rail, spikes, wooden ties and brackets. Each one-of-a-kind piece manages to capture the rugged romance of American train travel, with many steel members still bearing the imprints of industrial titans like Andrew Carnegie. Though you may find evidence of past centuries, you won’t find any hazardous materials. 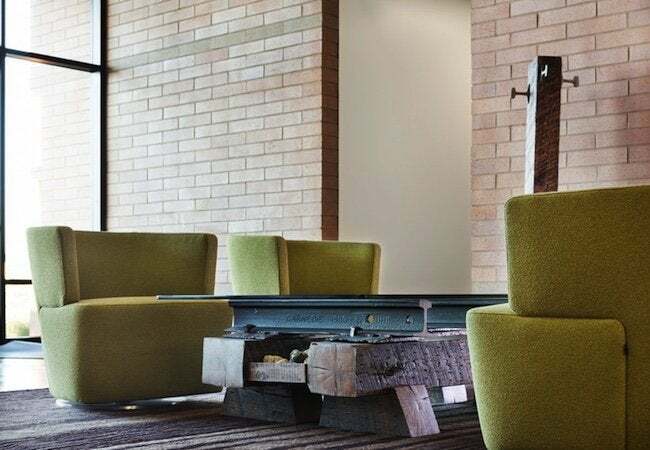 Rail Yard Studios relies on timber rejected due to knots and splits and other imperfections that, while not conducive to supporting massive trains, are ideal for furniture that’s handsome, heavy, and definitely not for the dainty-of-heart. For more information, visit Rail Yard Studios.